China, Taiwan and the US appear to be relatively comfortable with the current state of cross-strait relations. But that shouldn’t lead us into a false sense of security, warns Roderick Wye. Beijing still remains determined to unite Taiwan with the Chinese mainland. As China's economy has slowed so too has Taiwan's, with growth falling to 1.6 per cent per year in 2012 down from more than 10 per cent two years earlier. "You can't ignore the fact that we are overdependent on the Chinese market," says Nancy Hsiao Hung-chen, Deputy Minister of the Council for Economic Planning and Development. Lesson 5. Taiwan must also be flexible. The onus for reaching out and finding systemic solutions to the problems presented by Taiwan’s isolation predominately rests on its Southeast Asian neighbors. It is their diplomatic problems with Taiwan that stand in the way. 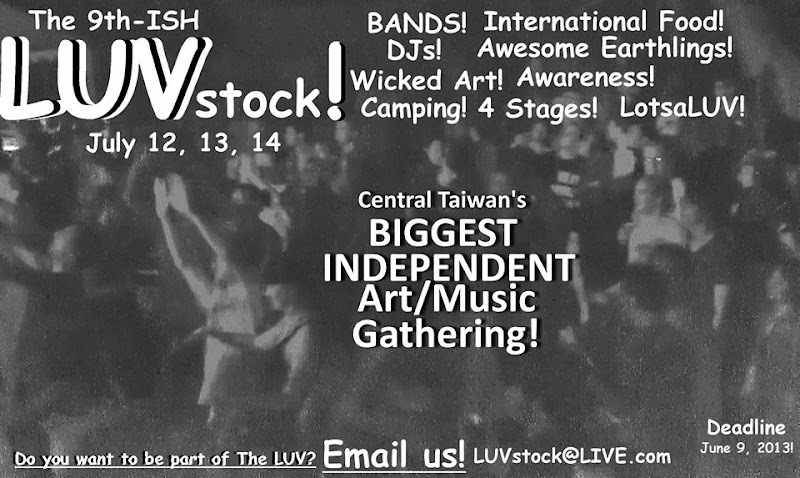 Taiwan, however, must also be farsighted. At some points in the current dispute, reasonable compromises presented by the Philippines—President Aquino’s apology for instance—seemed to be rejected out of hand by Taiwan. The courts are fair. That's why this minor DPP official got two years for authorizing a $4,000 NT payment. No, it's true. Taiwan's pariah state status makes it a conduit for illegal finance, stolen art, and once again, weapons technology transfers. Cross Strait services agreement will impact Singapore, New Zealand FTAs so the legislature should vote on it as a package, says a KMT legislator, although LY says it will not. What is wrong with the US Left on Taiwan and China? Too often, my fellow lefties are peering at East Asia through thick Cold War goggles. The latest example of the ignorant Cold War lenses that shape the thinking of the US is Eli Clifton's godawful article in The Nation this week. Those are perfectly legitimate questions, and we’re all for transparency in the funding of research institutions — especially when it comes from abroad. The problem is that the article’s claims are based on two assumptions that belie a poor understanding of the think tank world and, more importantly, the maddeningly complex workings of U.S.-Taiwan relations. On the first issue: U.S. think tanks receive funding from a plethora of governments, institutions, foundations, universities, and individuals. Some of those donors, for various reasons, choose to remain anonymous. For example, the Brookings Institution’s 2012 annual report shows one anonymous donor in the $1,000,000-$2,499,999 category, and three in the $500,000-999,999 range — the same bracket as the “problematic” TECRO identified in the article. That same year, TECRO’s donated between US$250,000-US$499,999 to Brookings, which is hardly a strident advocate of U.S. arms sales to Taiwan. Like a lot of other foreign entities, the Taiwanese government funds a number of other think tanks in the U.S. There is nothing unusual, or even illegal, in this. Moreover, while the article focuses on TECRO’s financial contributions to AEI, it makes absolutely no mention of the much more substantial — and oftentimes less transparent — donations to U.S. think tanks and academic institutions by the People’s Republic of China (PRC) government, wealthy Chinese individuals, or corporations with strong business interests in China (to that we can also add the co-optation of retired U.S. generals and government officials via highly lucrative corporate positions). Nor is it said that through those institutions, the PRC is attempting to sever U.S.-Taiwan ties, end U.S. arms sales to the island, and encourage the perception that the “re-unification” of Taiwan and China is inevitable, by force if necessary, even if this goes against the wishes of Taiwan’s 23 million people. In short, by being so selective, the article completely omits the tremendous influence that the much stronger party in the dispute, China, has on U.S. policy on Taiwan. The second major problem with the article is that it assumes that TECRO was using its (presumably un-kosher) influence on AEI to push for arms sales — especially 66 F-16C/Ds — at a time when, as anyone who follows U.S.-Taiwan relations closely would know, Taipei was dragging its feet on arms sales and, later on, seemed to be doing everything in its power to kill the F-16 program. In other words, rather than dictate to the researchers at AEI, Taiwan was funding analysts that were growing increasingly critical of and impatient with Taipei’s passive attitude to arms procurement — the exact opposite of what the article claims. Walter Lohman observed that Brookings, also a recipient of TECRO funding, hosted DPP Chairman and likely presidential candidate Su Tseng-chang at a reception a couple of weeks ago, which is certainly not something the KMT-run government wants to see, yet TECRO gives money to Brookings. Some friends of mine who were there told me Su was warmly received... good! The other reason this article peeved me, in addition to its by-now bog-standard Leftish ignorance of Taiwan, is that all the stuff that Cole writes about is available on this and other political blogs, including Cole's own, as well as in the local media. Clifton didn't have to do much, just send around emails to us and we'd have been happy to explain everything to him. *sigh* Why ever do they think we blog? Gossip drifting over to me ears from inside the Beltway: apparently Taipei is signaling Washington privately that despite what it is publicly saying, the Ma Administration does not want to become part of the TPP. One wonders what private protocols have been negotiated between Beijing and Taipei over closer links to Washington. We already know the Administration doesn't want the F-16s despite the noises it makes publicly. To illustrate our proposition, let us suppose that the Taiwan government said today that the entire nuclear power fleet would be phased out over five years, and would be replaced by a series of concentrated solar power (CSP) plants, rooftop solar PV, and wind power. The scare stories are that this would cover Taiwan in photovoltaic cells and wind turbines; that it would be prohibitively expensive; and that it would be unreliable since power could be generated only when the sun shines or the wind blows. All these claims are false. The reality is that just a few mirror farms using molten salt technology as heat sink would be needed, taking advantage of the fact that China is now committed to CSP and will be driving down the costs. 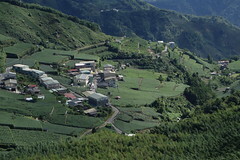 (See our article on CSP (co-authored with Ching-Yan Wu) at Japan Focus here) The land area needed in Taiwan would be no more than 62.5 square km (a square of sides less than 8 km) – which is as nothing when compared with Taiwan’s land area of 32,260 km2, and comparable to the land currently devoted to Taiwan’s advanced science and technology parks. The Hsinchu park totals 650 hectares; the Central Taiwan park 1400 hectares; the southern Taiwan park 1608 hectares – totalling 3900 ha or 39 km2. CSP plants generating half the entire nuclear output would occupy an area only marginally larger than this – and generate power 24/7 in a way that is infinitely more reliable and safer than the current nuclear facilities. And – this is the central point – this would catapult Taiwan into a world-leading position as supplier of CSP key technologies and equipment while creating domestic job opportunities as well. Such a strategy would also facilitate Taiwan’s urgent need for industrial transformation from a lower to higher value-added innovator. The world needs to get down to zero carbon within the next two decades, especially major polluters like the US, China, and Taiwan, if we're to have any hope of containing the coming climate disaster. While the city had previously announced plans to increase the numbers of students pulled out for urine drug testing, this week saw the announcement of some firm numbers--including a pledge to conduct a minimum over 4000 such tests on students in junior and senior high schools and vocational schools. This compares with a mere 193 such tests conducted last year and only 71 conducted so far this year. The city in February announced the standards for determining which students will be targeted, which ranged from the very specific, such as if the parents of the student have a record of taking drugs or the student is found in an internet cafe. Other standards are considerably more subjective, such as if the student arouses suspicions of a fellow student and is backed by a teacher or simply exhibits ‘odd behavior’. They also announced in February that the policy does not require parental consent. Other actions announced include plans to try and get all students, campuses and communities to act as enforcement gatekeepers and a plan for schools to ‘intimidate’ students by telling them drug abuse harms the bladder, which could lead to them having to attend school in diapers. US Taiwan stance unchanged, reports envoy, but I like the way the US appears to emphasize the consent of Taiwan's people is necessary. One of the great joys of biking in Taiwan is meeting all the friendly people. Ministry of Foreign Affairs’ Department of East Asian and Pacific Affairs director-general Benjamin Ho, in an interview with Taipei Times, said his government wants well-defined coastal areas where fishermen from both countries can operate freely. "Our goal is to sign a fishery agreement with the Philippines ... We will continue to negotiate with the Philippines [on that issue]," the Times, a major newspaper in China and Taiwan, quoted Ho as saying. Ho added that the next meeting will likely be held in July involving both countries' fishery, foreign affairs and maritime security officials. The report added that the second preparatory meeting to take place in Taipei will "pave the way for fishery talks between the two countries." Yet a fishery agreement at this point in time could be disadvantageous for the Philippines. For one, Taiwan has a more developed commercial fishing industry than the Philippines. In fact, at present, the operation of Taiwanese fishing vessels off Batanes and Cagayan in northern Philippines has been a perennial complaint of many local Filipinos, notably artisanal fishermen since many poachers were caught well within coastal or municipal waters. Thus, any joint fishing cooperation in the overlapping Exclusive Economic Zones of both countries will only increase Taiwan’s advantages. For some, a fisheries agreement would essentially amount to legalising poaching under the façade of cooperation. There are also practical impediments to an agreement to cooperate to curb illegal fishing. Foreign poaching is rampant in northern Philippine waters, and losses are tremendous, amounting to some P75–P150 million ($US1.8–3.5 million) every year. But because of its inadequate maritime law enforcement capabilities, Manila was only able to apprehend 108 foreign nationals for illegal fishing from 2006–2012. The Philippines’ limited enforcement capabilities would also make it difficult for it to monitor or supervise the conduct of joint fishing activities. It described a potential deal as being like handing the nation's marine wealth on a silver platter to Taiwan at the expense of the sovereignty and territorial rights of the Philippines' 100 million people. "Taiwan wants unlimited fishing access in the Philippines and that is the real score and the Manila government seems like ready to give in to the request," the group said in the statement. See also The Manila Standard. It seems likely that in the end negotiations will stall over domestic opposition in Philippines, and the situation will return to status quo ante, with Taiwanese fisherman poaching and Philippines being able to do little and less about it. A Taiwan-centric government would make maintenance of relations with Philippines a key priority. Let's hope that the public bullying that Taipei inflicted on Manila during the fracas over the shooting of the fisherman does not appear in the private talks over the fisheries pact. 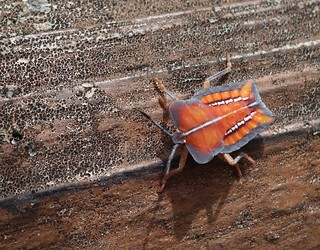 Went out yesterday to collect bug pics for a post but didn't shoot any good ones. But I did find this lovely bit of mimicry. Leaf mimicry is common (and beautiful) among butterflies and moths in Taiwan. A protest against the Infravest project in Yuanli winds down. The Taipei Times ran an article on the wind power protests in Yuanli in Miaoli today. I'm a longtime proponent of wind energy, back to when I was working in Washington DC writing on US energy policy in the early 1990s. It was then that I became a huge wind enthusiast. He learned that the firm intended to build 14 wind turbines, each capable of generating 2,300 kilowatt hours (kWh) of energy, along the township’s 2km pristine coastline. They apprehend the low-frequency noise generated by the turbines and fear they might develop a condition known as wind turbine syndrome from living so close to them. Although the condition has yet to be medically recognized, a number of scientists believe there could be a correlation between a higher incidence of health problems and depression due to long-term exposure to the low-frequency noise generated by wind turbines. The second factor is whether people derive income from hosting turbines, which miraculously appears to be a highly effective antidote to feelings of annoyance and symptoms." It should be intuitively obvious that with two decades of operation of wind machines around people, wind turbine syndrome should be robustly appearing in communities that host wind machines, among wind energy researchers and engineers, and so on. No such body of data exists. Interested readers can google "wind turbine syndrome" and bone up on the topic. This article from Slate is a good start. Despite the positioning of the article as "big business vs the local community" to me this one still has a strong feel of the kind of thing where nobody is on the side of Right, though I have no doubt that opponents are sincere in their opposition. Alas, not every case of residents fighting city hall is the Miramar Hotel fiasco redux. If residents of Yuanli really want to remove something of proven toxicity from their environment, they might think about that fossil-fuel fired power plant just up the road in Tunghsiao (visible in the top picture, ghostly in the background). That thing is going to kill and sicken far more residents of Yuanli than the wind machines ever will. Bottom line: the worries over wind turbine syndrome can be cured with a healthy injection of cash. Someone needs to take the lead on that. It would also be nice if someone introduced Taiwan's big firms to the idea of managing community relations so that this sort of thing is stopped before it starts. REF: this image shows the art gallery discussed in the article. It is located here. The bike path goes right past it. Beautiful grounds, well worth a visit. Also, in 2008 residents of a village in Taoyuan defeated an InfraVest plan to deploy wind machines there. UPDATED: Infravest Taiwan's backgrounder on the issue. Military operations against the tribes in northeastern Taiwan were commenced at dawn yesterday. The government forces consist of 3,000 men, of the police and native troops. Mr. Uchida, Chief of the Civil Administration, is on the scene. General Sakuma, Governor-General of Taiwan, will be in the field early next month. The Governor-General, it is believed, has planned one of the most terrible campaigns for the subjugation of the savage tribes living in eastern Formosa. 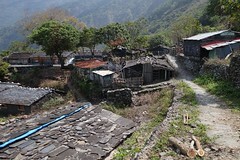 Karo said he and his neighbors have received a notice from the county government, asking them to tear demolish their homes and move away from a plot of land right on the border between Fenglin and Guangfu (光復) townships. The county wants to build a stray dog shelter on the site. Namoh Nofu, an Aboriginal rights advocate who is from the area, said that in the past decade, the county government has planned development projects for about 1,400 hectares of land around the border area of Fenglin and Guangfu townships, which is the traditional domain of the Amis villages of Tafalong and Fata’an. 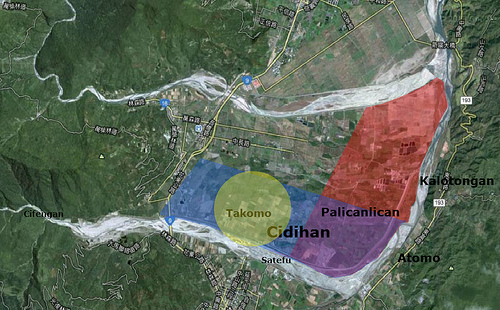 The alluvial fan known as Cidihan in Hualien County between Fenglin Town, the Mataian River, the Hualien River, and the Wanli, has been designated the "Fenglin, Hualien County Comprehensive Development Plan - Wanjung Devleopment Zone". However, for many years the area has been the traditional croplands, grazing lands, and hunting grounds of the neighboring Tafalong (Taibalang) and Fata'an (Mataian). Down to the present day the two communities still have many tribal people engaged in farming in the Palicanlican and Takomo areas. The effort continues and only last week, Taiwan supporters were excitedly clamoring over the release of a declassified CIA document from 1949 which said that from a legal standpoint, Taiwan could not be considered to have been part of the ROC. All that is fine, but in the end, no amount of legal documents, historical findings, maps, obscure quotes or other materials will convince Beijing to abandon its longstanding claim that Taiwan is a renegade province of China that needs to be “reunited,” by force if necessary. Does the Taipei Times really imagine that anyone who studies these matters thinks if they wave a document that Beijing will suddenly change its mind? Probably there is a nutcase or two who thinks that, but no one sober does. Who is the Taipei Times talking about here? Actually, no one was excitedly clamoring, for I was on the discussion list where the document appeared in its wanderings around the web, that appearance being the one that triggered the article in the Taipei Times about the report "CIA report shows Taiwan concerns". Erudite list members quickly pointed out that the document was released in 1993. Hence, no clamor. Just a document of historical interest. This did not stop the Taipei Times from making the same point again in the next paragraph. Beijing’s recent behavior with regard to its territorial claims in the South China Sea, or the even sillier contention made more than once during the past weeks in the Chinese Communist Party-controlled media that Okinawa, Japan, might also be part of Chinese territory, should be enough to drive home the reality that historical facts and international law will not influence Chinese thought. ....Relying on prayers and entertaining fantasies about a Eureka document that will succeed in deflating Beijing’s claims where everything else has failed serves no purpose other than delaying an outcome that should not be inevitable. ....However, Taiwan should not kid itself — old maps and declassified missives are a waste of time, no matter how valid the cases they make. ....Czechs, Slovaks, Poles, Russians, the French and others would have been foolish to sit and wait for the Nazis as they advanced across Europe armed only with legal documents and maps. Yes, we should have a consensus on resisting China. But part of constructing that consensus is building a shared identity. And that identity has to have a past that presents a strong and true alternative to Beijing's false claims. That past must be plausibly legitimate. That's one of the key uses of history, and of documents like this. Taiwan independencista: You should support Taiwan independence! American Shiao Ming: Why? The Chinese say Taiwan has been part of China for centuries. Taiwan independencista: Never mind that! We are looking to the future! We don't believe we are part of China! American Shiao Ming: Why not? Aren't you Chinese? Weren't you given back to China in 1945! Taiwan independencista: I don't know! Who cares!? Why is this history important?! What I think now is more important! American Shiao Ming: Ok, sure. Whatever. The flaw in the Taipei Times' position is simple: China legitimates its position via appeals to history (among its many approaches) and it is necessary to know that history in order to respond to those claims. Moreover, since history legitimates, proper use of it can help others who might want to rally to Taiwan's side to support us. We are not just talking to Beijing here, but to the whole world, including uncaring and uncommitted Taiwanese at home. By legitimating our position through law and history, we define ourselves as different from the expansionists in Beijing who ignore law and history. Key! The Taipei Times should take notice that it is common for people who delve deeply into the history of Taiwan to have very little support for annexing it to China, and for the political parties that advocate annexation. Instead of accusing people of searching for a magic bullet, perhaps the editorialist should make a better attempt to understand the uses, functions, and effects of historical knowledge. One of the great victories of the KMT in shaping the Taiwan consciousness was getting the Taiwanese to care so little for their own history. Let's not ape that trend. UPDATE: J Michael responds here. China forces Maldives to give up sister city agreement with Taiwan. Good thing there's a diplomatic truce between Taipei and Beijing, eh? Foreign academic criticizes Hsinchu city government, it goes after his work permit. No chilling effect there! And note the reference to the unconstitutional, authoritarian, and evil spying program of the NSA. The Bush-Obama security state helps legitimate security states everywhere now. Way to leave the world a better place than you found it, American elites. As a day of riding in Miaoli came to a close, we found ourselves above Liyutan Reservoir with the sun falling into the west. Yesterday was gorgeous. Oz finds some wisdom at an abandoned Coast Guard station. 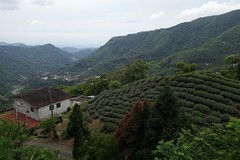 Tea Masters, always sumptuous, on high mountain oolongs. Drew is selling his excellent Salsa steel bike. Damn! It's too big for me. For comic relief only: KMT knickers in knots over Lee Teng-hui's latest book. Asia's era of cheap migratory labor may be coming to an end: Philip Bowring with another interesting piece. Line, the popular chat application, is shooting for 20 million users in Taiwan by end of 2013. If only my HTC cellphone didn't have a crapload of apps I don't want but can't uninstall, I could probably install Line. [cynical laugh] Legislature to start to tackle capital gains tax this week. Phils bans imports of 15 foods due to chemicals, not shooting incident. Two charged in train, office bombings. Is TPP a tool to contain China? 1949 intel document shows how US knew Taiwanese didn't want to part of ROC and US did not consider Taiwan part of ROC. Gordon Chang in LA Times arguing, as I have for ages, that Mil-Mil relations between Beijing and Washington will not relieve tensions. For bigger size go here. Digging for the fuel of Taiwan's domestic political economy: gravel. It said Taichung, boasting a sound infrastructure, represented a good combination of technology and cultural development. “The rise of Taichung over the past decade has been a well-planned, unwavering act of collaborative team-building under the vision of Taichung Mayor Jason Hu (胡志強),” ICF co-founder Louis Zacharilla said in a statement. The ICF said a relatively low jobless rate of 4.4 percent and annual economic output of US$30 billion are part of Taichung’s success. 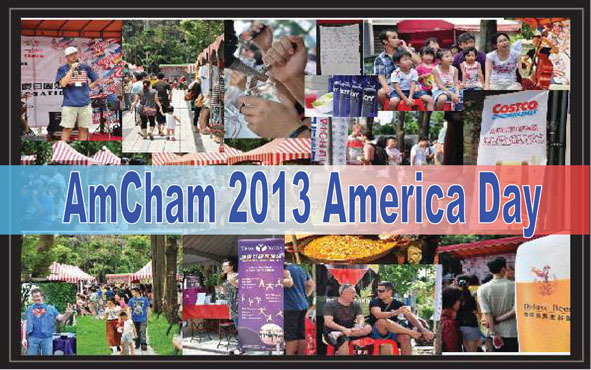 “This city understands that a great place to live is not one that only dominates world export markets in areas such as precision manufacturing, machinery and silicon wafer production, but goes to the next level and becomes a great cultural center,” Zacharilla said. Liao said some judges had told her that they were impressed by Taichung’s ability to integrate technology and culture, which made technological advancement not just an impersonal development, but a driver for a higher living standard. REF: here is the actual announcement, whose disconnect from reality approaches a kind of lyricism. A night market in Wanhua. Apologies for the light blogging, but the end of the semester here has been brutal. Waay overloaded with work. “This is the first incident which has taken place since the Taiwan-Philippine Agreement on Mutual Legal Assistance in Judicial Matters was concluded in April,” stated Ma, adding that if the case could be brought to an end with an impartial conclusion so as to render justice to the victim, the ROC government would lift the eleven sanctions leveled against the Philippines. By doing so, Ma stated, he believed that Taiwan-Philippine relations would become even stronger. On May 11 the public outcry in Taiwan was already high. Understandably, Taipei was very concerned with Manila’s evasive attitude in handling this crisis. As the aggrieved party, Taipei urged Manila on May 11 to agree within seventy-two hours to conduct a joint investigation, in addition to asking for a formal apology. Taipei also requested Manila to start negotiations of a bilateral fishery agreement to prevent this kind of tragedy from happening again in the future. During this seventy-two hour period from May 11 to May 14, there was only silence between Taipei and Manila. If, at this critical moment Manila had taken immediate, consistent and concrete steps to build mutual trust with Taipei, the standoff would have been largely resolved. Taipei needed to be reassured but, regrettably, Manila kept sending the wrong signals. Haha. The "72 hour period" is actually the period when Taipei issued an ultimatum to Manila to kowtow or face sanctions. Note the verbs: "Taipei urged" and "Taipei also requested". Taipei neither urged nor requested. It set out threats and conditions. These two paragraphs are a total travesty in which the terms ultimatum and sanctions are omitted, completely misleading the reader as to the reality of the situation. Further down, finally, the term sanctions is introduced. Meanwhile, back at the farm, the KMT was protecting its real constituents, the 1%. Commonwealth Magazine had another excellent piece on Taiwan's doleful tax problems and its obedience to the stupidity of trickle down economics. May 3 was a normal Friday, seemingly just like any other. But away from the glare of Taiwan's pervasive media, without any debate, conglomerates, Taiwanese businesses operating overseas and majority Kuomintang legislators teamed up to block an amendment to Taiwan's Income Tax Act that would prevent companies from avoiding taxes by booking and keeping their profits overseas. The revision, which had already cleared its first reading in the Legislative Yuan (a bill has to clear three readings to become law), was removed from the body's agenda and sent for consultations between majority and minority lawmakers, to take place out of the public eye. Taipei Times cartoon critiquing the midnight Friday amendment of the Accounting Act (會計法) by the Legislative Yuan which appears to have been designed to exonerate and clear of wrong doing a large number of public servants, including currently jailed gangster politician and former independent legislator and Taichung County Council speaker Yen Ching-piao (顏清標). The DPP are divided on this as apparently some of their members aided the passage of the amendment without first getting consensus within the caucus. According to the report, the DPP wanted the amendment to clear hundreds of professors facing possible indictment but the KMT wanted it to cover city councillors as well so they made a deal and pushed it through. In a blatant piece of convenient hypocrisy and double standards, the KMT surprised no one in refusing to also include decriminalizing the misuse presidential state funds, something that might have benefitted former President Chen. On hearing this news of law being made to retrospectively figuratively relocate people back across the line from criminality to innocence, Chen allegedly tried to hang himself in prison. The amendment, passed at the last minute in closed-door cross-party negotiations on Friday last week before the legislature went into recess, was supposed to exempt research grants given by the government to professors and elected officials’ special allowances from being audited. However, the word “teaching [faculty]” was missing from the amended act’s Article 99-1, which means professors may still face prosecution. Meanwhile, convicted officials, such as former Non-Partisan Solidarity Union legislator Yen Ching-piao (顏清標), who has been in jail since Feb. 19 after he was sentenced to three-and-a-half years in prison for using nearly NT$20 million (US$668,500) in taxpayer money to visit hostess bars, will be released once the amendment is promulgated. Yen Ching-piao, you may recall, runs his central Taiwan legislative district as his personal fief and is widely reputed to be one of the island's wealthiest and most powerful....er....well. The Executive Yuan isn't going to veto the bill, says the article, because the error was typographical, according to the Premier, and because the preamble to the bill clearly says it includes professors. The bill exempts Special Funds, slush funds provided to most major political positions which appointees may basically use as they please. President Ma was indicted and tried for downloading them into his personal accounts, a fact which no one disputed. Ma's defense was that they were intended by the KMT government for just that purpose. Chen Shui-bian was tried for doing that as well and cleared in the original trial and on two appeals. Last I recall, another court had sent the charge back down for retrial. If the bill doesn't include professors, well -- auditing pesky professors might become just the antidote to suing them. Let's hope the law is read as the Premier says. As for our economy..... a few posts down I took a quick look at the "stimulus" the government is touting, a worthless number too low to have any effect. The KMT government undercut its "stimulus" by quietly asking all government departments to implement an across the board 8% cut in 2014 budgets. There is no stimulus. Here are the two pages of a brochure the TECRO (ROC representative) offices in the US are passing around. Look carefully at the map on page 1, it includes the Senkakus, showing how these territorial claims are linked in ROC (Chinese expansionist) propaganda and shows the "overlapping" EEZs of Philippines and Taiwan. Its use of international law is selective, to say the least: as a friend pointed out, there's no territorial waters around the Japanese islands and no EEZ extending into the Taiwan Strait. There's a bigger view of it on my Flickr account here. Taidong Protest shared this on Facebook. It shows how in one small area of Taitung several hotel projects are going in that will wreck one of nicest areas on the east coast. In the center right, the small circle shows the bitterly opposed Miramar Hotel, just plopped on a lovely beach via a process that gives every appearance of involving developer-local government collusion. For non-Chinese readers, in each description, the number in the center is the size of the development in hectares, while the bottom number gives the number of hotel rooms. Visit the east coast now because in even five years it will be changed. One person was killed, two were critically injured and 17 others suffered less serious injuries in a 6.3-magnitude earthquake that struck central Taiwan at 1:43 p.m. Sunday, according to the National Fire Agency. It is the most powerful earthquake to have hit Taiwan so far this year. The earthquake was centered 30 kilometers east of Nantou County Hall at a depth of 10 km, the Central Weather Bureau said on its website. The strongest intensity was in Tsaoling, Yunlin County, where it was recorded at 6, according to the bureau. The temblor was felt in most parts of Taiwan, with Sun Moon Lake in Nantou, Alishan, Tainan and Dadu in Taichung recording an intensity of 5, the bureau's website showed. In most parts of northern Taiwan, the quake was felt at an intensity of 3, it said. I was standing at the Tongluo Train Station waiting for the 2:00 train when I thought I felt the ground move. Ok, maybe I've been standing on my left foot too long. I shifted to my right foot and suddenly the whole place was rocking! This one lasted unusually long and I became very worried that someplace in central or eastern Taiwan had been wrecked. I hopped on the train and discovered the train was limited to half its normal speed.... very scary, could have been a lot worse. The quake punctuated what had been a lovely day. I rolled out of Jhubei on the 118 heading for the coast early in the morning on Sunday. Ibises search the mud flats of Hsinchu for food. Despite the gorgeous day, the wind down the coast was brutal. Wonder what he thought of the quake. 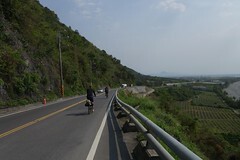 Finally I gave up when I reached Xihu and hopped on the 119, one of Miaoli's innumerable pretty mountain roads. The 119 rolls gently up to Tongluo and then on to Sanyi through beautiful farming countryside. Great views off towards the mountains to the east from the 119. 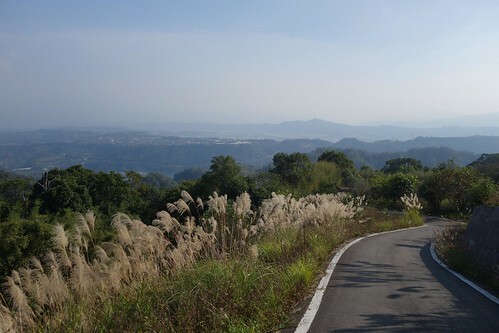 Miaoli is Taiwan's great undiscovered gem.